Kiddie Kollege Inc. theme based curriculum provides an enriching environment with activities intended to enhance the child’s overall development in a quality early childhood educational setting. Our curriculum focuses on providing opportunities for children to explore and discover their surroundings through hands on activities. The children stay busy with activities that build on their social, emotional, cognitive, and physical development. Art projects, manipulative experiences, water play, dramatic play and objective investigation are some of the activities consist of discussing themes, letters, colors, and shapes of the week. Stories, songs, and finger play to enhance the development of oral language skills. Lesson plans are designed around weekly science or social studies themes. Art projects, cooking experiences, and group activities provide hands-on opportunities to explore these themes. Pre-math skills including number recognition, counting, and geometric shapes are introduced in a fan, experiential learning environment. The children work on a wide range of academic activities throughout the school year to increase their language skills in both listening and communicating. Perceptual and motor skills are also developed. Children will work both individually and in small group settings. Creative skills are encouraged through art, music, and dramatic play. Indoor play in our playroom and outdoor on age appropriate play equipment provide unlimited opportunities for gross motor development. Kiddie Kollege includes activities such as computer instruction, Spanish, Sign Language, Music, and Library time as a part of our daily curriculum to enhance the child’s learning experience. The children are continuing to improve their socialization skills by learning to play with their peers, Following simple directions and using polite manners are also a part of learning to work and play with others. 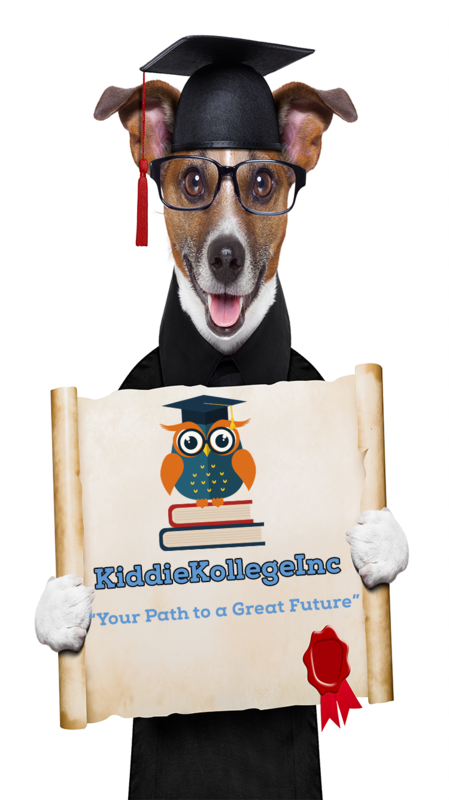 At Kiddie Kollege, we provide a loving environment where your child can fully grow and mature.